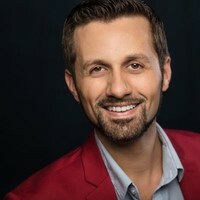 Justin John Moniz, tenor, will give a recital and masterclass in Moeser Auditorium, accompanied by Qiao Zheng Goh on piano. Mr. Moniz holds the Doctor of Music in Voice Performance from Florida State University, a Master of Music in Vocal Performance from the Frost School of Music at the University of Miami, and a Bachelor of Music in Vocal Performance from the Crane School of Music at SUNY Potsdam, where he was recently selected as the recipient of the 2015 Rising Star Award for having demonstrated outstanding professional achievement in the first decade following graduation. For his full biography, click here. 12:00 p.m. - 12:00 p.m.